Panopoda repanda - Hodges#8589 (Orange Panopoda). 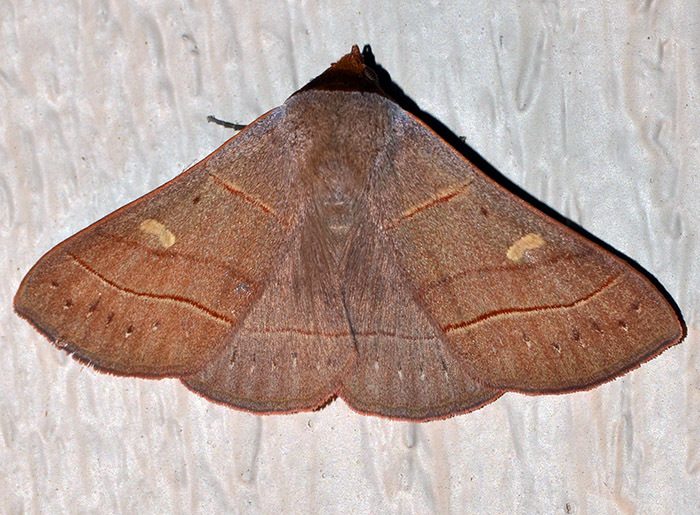 The wingspan of this brownish, orange moth is close to 4 cm. The common host plant for its larvae are live oaks. 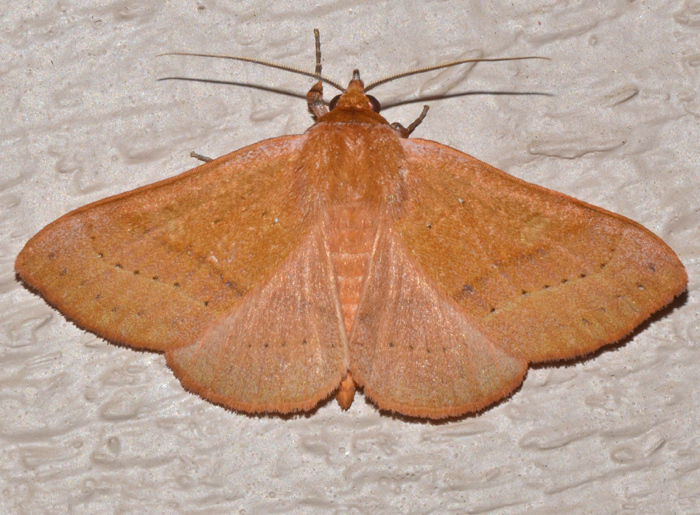 The Orange Panopoda can be found in woodlands and coastal areas from Virginia down to Florida and west to Texas. Their caterpillars occur in midsummer and are pale to emerald green peppered with small dark green to blackish purple spots. They feed on mature foliage. Panopoda rufimargo - Hodges#8587 (Red-lined Panopoda). My second out of four Panopoda species that occur in America north of Mexico. 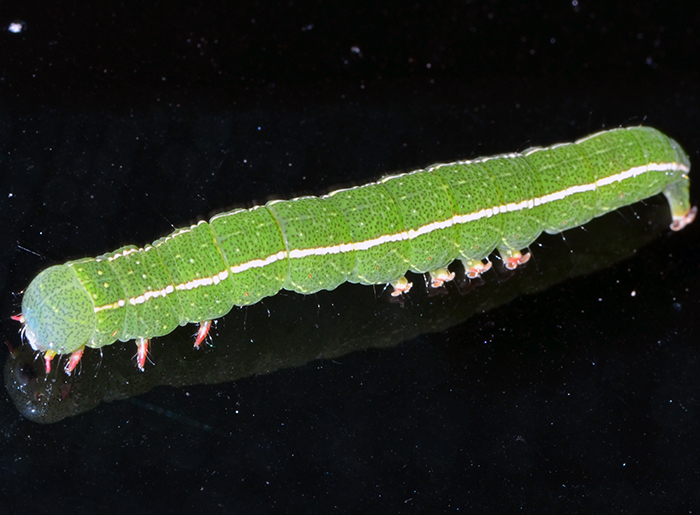 Its green larvae eat leaves of beech, red oak, and white oak. This specimen sat rather stoically under our porch lamp while other moths were frantically flying around it. 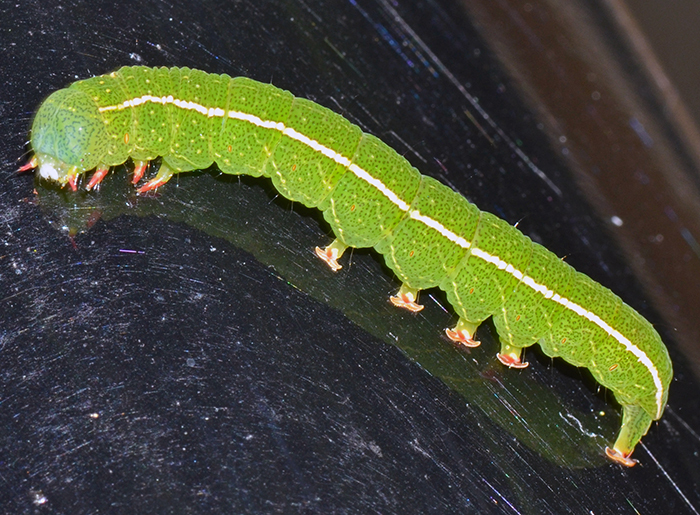 The caterpillars of Panopoda are lime green with creme to yellow, subdorsal stripes and tiny, dark spots. 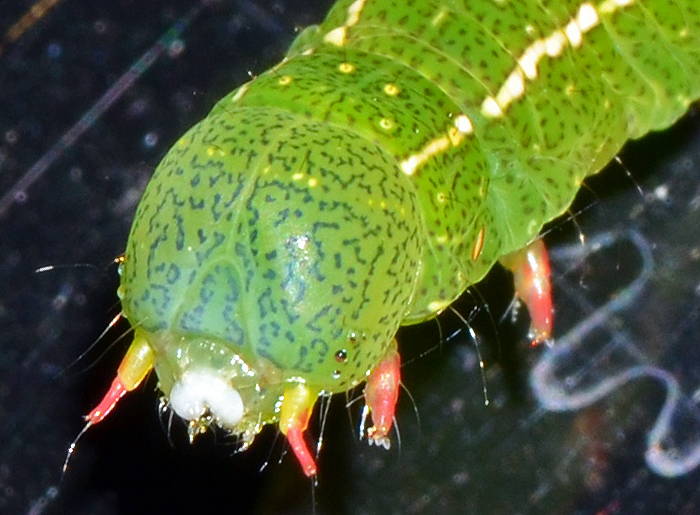 The head is rounded and has red antennae. They also have red legs and can move rather quickly. Food plants include birch and oak.